ST. GEORGE – A Coalville man was sentenced Wednesday to serve a year in jail related to charges stemming from an August 2015 chase and standoff with police involving a crossbow. The only reason Brady Leon Warner, 41, isn’t facing prison time in Utah is because he’s wanted in Wyoming on a warrant, Deputy Washington County Attorney Jerry Jaeger told the court. Warner was present for sentencing in 5th District Court and standing before Judge Michael G. Westfall Wednesday afternoon. In February he pleaded guilty to multiple charges related to the chase and standoff that included felonies for aggravated assault and failing to stop for a police officer, as well as misdemeanors for possession of a dangerous weapon, reckless driving and driving with a revoked license. According to court records, on Aug. 15, 2015, Hurricane City Police officers responded to what they originally thought was an assault or disorderly conduct call in the area of 3700 W. State St. Three people, two men and a woman, had been in a white pickup truck that was parked in the area. The individuals had been arguing when the woman and one of the men got out of the truck and started walking away. It was at this time that Warner got behind the wheel of the truck and headed eastbound on state Route 9. A Hurricane City Police officer saw the truck and attempted to pull it over, triggering the chase. During the pursuit, Warner blew through multiple stoplights and drove into ongoing traffic in a chase that cut through Hurricane, LaVerkin and Virgin. Police cut their pursuit at Kolob Terrace Road, though found evidence of Warner’s having turned onto Smith Mesa Road and began to canvass the area. Warner called 911 and told police to back off or he would shoot them. He also made suicidal comments and told dispatchers he had a crossbow and would use it. Police ultimately located Warner at a cabin off of Smith Mesa Road and surrounded the building. Warner and police negotiated for several hours until he surrendered and was taken into police custody. 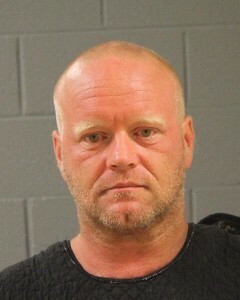 He later told police he ran because of warrants he had out of Wyoming. He also said he had contemplated suicide by cop during the incident. “What Brady did was not a smart thing to do,” attorney Kenneth Combs said, adding that the state has been very fair in its treatment of Warner. Combs said he didn’t believe Warner intended to harm anyone. Despite threats he made to police, in a presentencing report issued to the court, Warner thanked police for rescuing him. “With what was happening in his life at the time, he may have wanted to get hurt,” Combs said. “I just want to do what I can to make it right,” Warner said, adding he felt getting just a year in jail was more than fair. Westfall agreed, and sentenced Warner to serve 364 days in the Washington County Purgatory Correctional Facility with credit for time served. He was also placed on 36 months probation and was ordered to undergo a mental health evaluation following his release. Warner faces felony charges in Wyoming related to drug distribution and will likely be extradited to Wyoming once he has served his time in Utah. Warner told police he and the other occupants of the truck had been traveling to New Mexico when he got into an argument with the woman who was driving. During the argument he reached over to the keys and turned the truck off while it was still in motion. The truck stalled and a new argument began. The woman and the other man in the truck got out and started walking away when Warner took the truck and ultimately ended up in the high-speed chase and standoff. 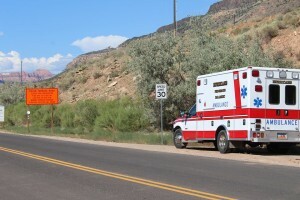 The incident involved multiple agencies including the Hurricane City and Springdale police departments, Washington County Sheriff’s Office, Utah Highway Patrol, the Bureau of Land Management and National Park Service.